When: June, July, and August of 2019 – Monday to Thursday 9 am to 11 am at the field and training facility in the afternoon. Fees: The camp will provide hydration and training at all sessions. Does not include transportation or accommodation. Boca Raton FC Summer Boot Camp is set up for College and HS Seniors soccer player who wants to continue practicing and improving their game during the summer. Players will be surrounded by high-quality peers who will challenge and push them in every aspect of the game. 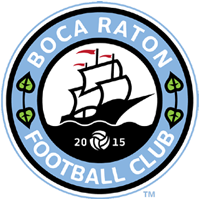 At Boca Raton FC Summer Boot Camp, each participant works directly with the coaches and receives evaluations. During the week, practices are going to be held on Cypress Park from 9am to 11am o from Monday to Thursday. Practice also includes afternoon practices at Impact Performance facility with the Physical strength coaches. Special program for goalkeepers is available.